Children of the ’60s and ’70s could use the Zoom-Loom Automatic Weaving Machine to design & make their own placemats, scarves, pot holders, and more. The toy’s promotion of textile production and sewing skills is an excellent example of the type of creativity toy that was being released during the time period. Knowing that children could get frustrated with lengthy setup and preparation times, Kenner took a variety of steps to ensure that the Zoom-Loom, released in 1968, was easy to use. The toy came ready to use out of the box, with a pre-strung two-color warp (the set of threads or yarn that are stretched lengthwise on the loom). The Zoom-Loom was also equipped with a Flying Shuttle that would automatically weave a weft (the crosswise rows of thread woven over-under the warp) each time the toy’s handle was moved backward and forwards. 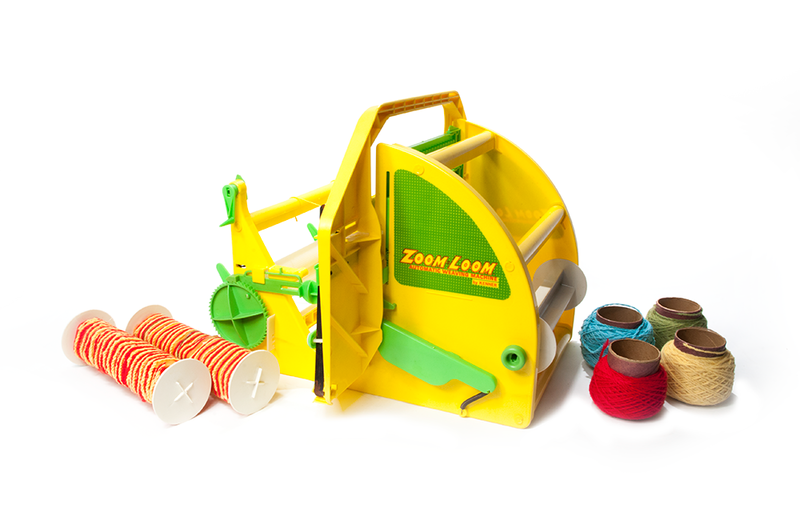 The Zoom-Loom came with an accessory kit that included eight balls of yarn (for cross yarns) in four colors, three bobbins that wound right on the machine, two weaving needles, trimming, and two extra pre-wound warps in different colors. Also included was an illustrated instruction book and pattern charts. Kenner also sold a variety of refill kits that could be used to make larger items. I have fond childhood memories of enjoying drive-in movies in the back of the family station wagon - thus, the Movieland Drive-In Theater playset has great appeal for me. Released in 1959, it was one of the earliest toys released by New Jersey-based Remco Industries.